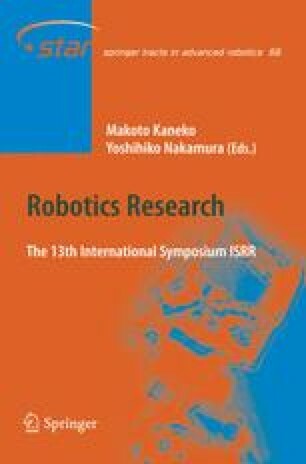 A framework for force and visual control of robot manipulators in contact with a partially known environment is proposed. The environment is modelled as a rigid object of known geometry but of unknown and time-varying pose. An algorithm for online estimation of the object pose is adopted, based on visual data as well as on force measurements. This information is used by a force/position controller. The resulting control scheme has a inner/outer structure where the outer loop performs pose estimation and the inner loop is devoted to interaction control.